The Garden Gully Gold Project is Ora Gold’s flagship project. 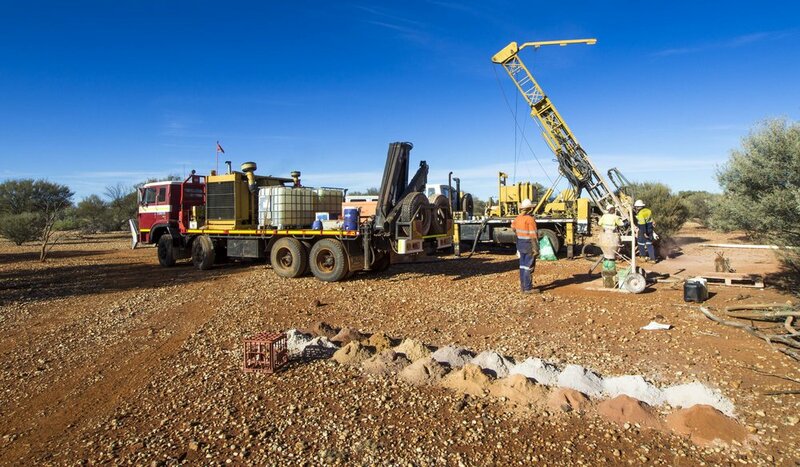 Since 2016 the Company has focused on expanding and consolidating its hold on this historical gold field, centred just 20 kilometres north-north-west of Meekatharra, a township of 700 people that has excellent infrastructure and which has always had an association with gold and gold mines. The sealed Great Northern Highway that runs for 3,200 kilometres and links the State capital of Perth with the iron ore export hub of Port Hedland and then to the State’s northernmost port, Wyndham, passes through Meekatharra. Historical production to date from gold mines and operations in and around Meekatharra exceeds seven million ounces of the precious metal. The presence of two operational gold production plants within 30-odd kilometres trucking distance from Garden Gully was a major positive factor in our strategy to control this area, with a view to eventually establishing a gold operation. Acquiring the Crown Prince lease in March 2017, and then the Abbotts ground in December 2018, expanded our landholding to approximately 530 square kilometres of ground covering about 85% of the prospective Abbotts Greenstone Belt (“AGB”). The AGB is one of the few greenstone belt remnants in the highly productive Youanmi terrane of the Murchison district that is yet to deliver a gold camp of at least 250,000 ounces of gold inventory. Historical production from the AGB has come predominantly from two locations: the Crown Prince (formerly Kyarra) that produced about 21,000 ounces of gold averaging 21 grams per tonne; and the Abbotts Centre in the north, where the Mount Vranizan and New Murchison King mines together produced over 41,000 ounces of gold at an average 31 grams per tonne. The occurrence of gold nuggets has been fairly common across the area too, all of which makes the AGB an exciting target that remains relatively unexplored by modern techniques. Our exploration began in July 2016. The very first programme delivered visible gold in drill chips from just 11m down hole in a spectacular intersection of 7 metres at 24.5 grams per tonne at the Lydia prospect. Our first exploration drilling below the Crown Prince workings returned visible gold in a 5.5m interval from 259m downhole: the assay results confirmed an intercept of 8m at 22.3 grams gold per tonne. It is clear that the AGB is endowed with gold mineralisation: the challenge is to unlock the structural controls on that mineralisation so that we can locate it and define zones that hopefully lend themselves to commercial exploitation. The Garden Gully Gold Project is very exciting and offers significant potential for success.